I love horses. They are such beautiful animals. 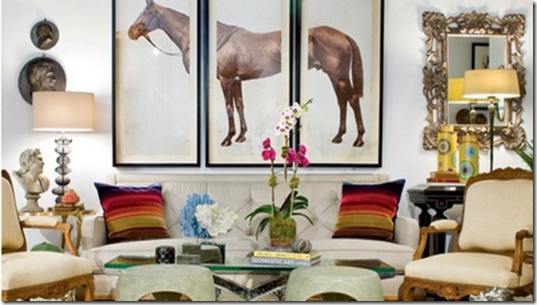 So I've been enamoured with all of these pretty horse prints for a while now. And I've been wanting to add a print to our dining room. Luckily after showing them to the Hubby, he starting liking them just as much. However, because he is a photographer, he didn't want to purchase a print, he wanted to take one himself. I was all for that!! Luckily, we live next to a pasture just filled with lovely horses. And one day I found the Hubby out there with his camera, just talking to the horses and taking their pictures. Those horses, turns out, really love the camera. In fact, they couldn't get enough of posing for pictures. It was really quite funny! But then the photos sat for a while. Every few days the Hubby would ask when we were going to print one up, but I would always brush it off with some complaint about the cost of framing a large print. Little did he know I had something up my sleeve. He loved it...and was actually very surprised (and yes, happy) to have it as his gift this year! 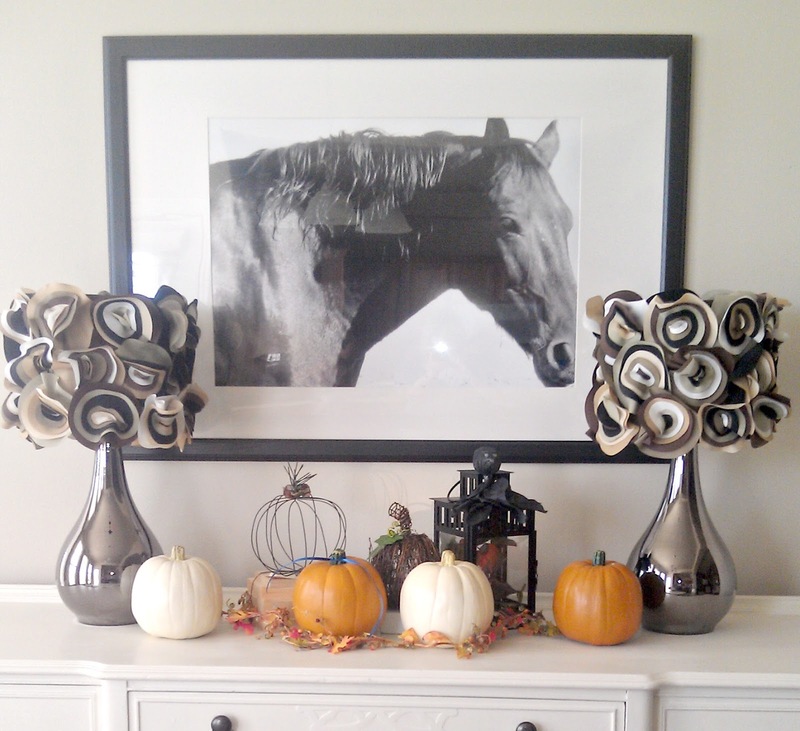 We just love us a little equine art! Wow.. love the styling and am loving this trend. What a lucky hubby you have. So lovely. I always prefer art if it means something. The houses that have been 'arted' by decorators always seem so cold. Beautiful picture! What a sweet gift, too! I love that you framed one up as a surprise for him. Thanks for sharing. This turned out beautifully and I love that you surprised him! I don't think equine art is for me (I'm scared of horses for one haha), but I love seeing it in other people's houses. 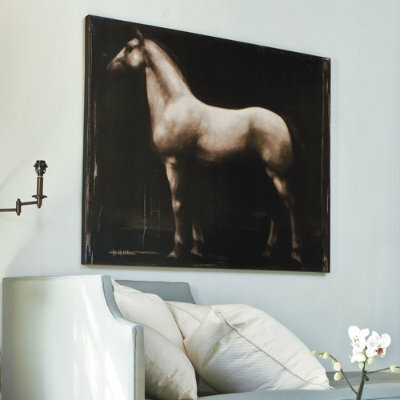 i love the one from elle decor mag, that is amazing! yours is great too and what a price. i just love horses. i had one printed on rolled canvas, still need to find a frame, will share soon! Looks great! I just bought an old horse print recently. I'd love to incorporate more of my photos in our house - I like the personal touch. What a great gift idea and it turned out beautifully (for a song!). Thanks for sharing ~ I'm partial to equine art myself. What a lovely idea as a present. The image is gorgeous, but then it is of a horse so that was inevitable lol. Yup, I'm horse mad too and yet I've never thought of doing that!